CENTAC 2019: CENTAC (Centralized Admission Committee) is the Counselling Agency constituted by the Government of Puducherry to do counseling for admissions to various Postgraduate and undergraduate courses in the UT of Puducherry. CENTAC will commence from May 2019 to conducts CENTAC Admission 2019 to provide admissions in undergraduate engineering programmes. Admission will be provided to students on the basis of their marks/percentage in 10th, 10+2 or equivalent exam. We have mentioned the schedules related to admission procedure. You can check the tentative date of CENTAC 2019. These are expected dates based on the last year dates taken from the official site of Government of Puducherry. We will update you after the release of official CENTAC admission dates. For B.Tech, maximum age should be 21 years and For BAMS, age must be 17 years at the admission. Candidate should be the Indian citizen. The French Nationals residing in Puducherry can also apply. All the students are requested to check the documents before the filling of application form. Documents required for the verification process are given below. Xerox copy of JEE OR NEET Score. CENTAC Application Form will be commenced in the month of May 2019. Interested & Eligible Candidates can apply for it. The application forms will available online. Candidate can fill the form till last week of May and submit the hard copy of it in June 2019. Check the detail how to apply for the CENTAC application form. Click on the registration link given there to register yourself. Fill the CENTAC 2019 Registration Form. Upload Required Scanned Photograph and Signature and pay the fee. Payment will be done through online mode by Credit /Debit card /NEFT. Take the print out of filled application form and payment receipt. 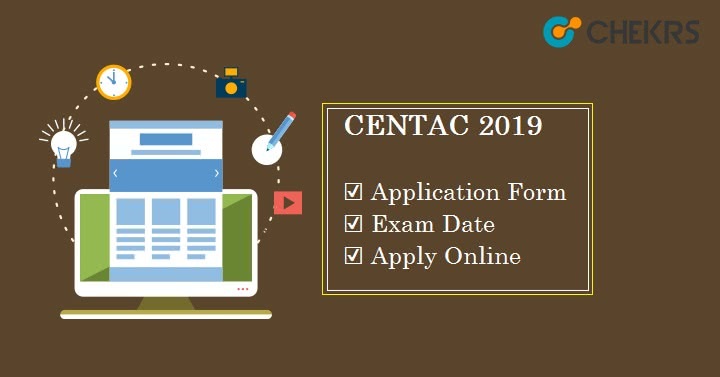 Once completing the process of filling the application form and document verification, CENTAC will generate the CENTAC 2019 Result in the month of July on the basis of which admission procedure will proceed. Candidates can download the result by going through following procedure. Search for the link Result. Click on it to download the CENTAC 2019 Result. Must enter the asked details. After submitting the details, the result will appear on the screen. CENTAC Rank list/ Merit list will be uploaded by the authority of CENTAC, Puducherry on their official website. Merit List will be decided on the basis of score obtained in class 12. Separate merit list will be declared for the different courses. After the result declaration, students will be invited for counselling. CENTAC 2019 Counselling will start from August through offline mode. Candidates will be called for counselling on the basis of merit list prepared by the Government of Puducherry. The merit list prepared by CENTAC will contain the name of the qualified student, counselling date, timing, and venue. The only qualified student will be invited for counselling. The student needs to download the call letter from the official portal and then pay the counselling fee to participate in CENTAC Counselling procedure. Candidate will have to pay Rs.750 (for SC/ST, it will be Rs.350) as counselling amount. The seat will be allotted on the basis of candidate’s rank.